Today we are going to Provide you UPSSSC JE Exam Answer key in PDF format. 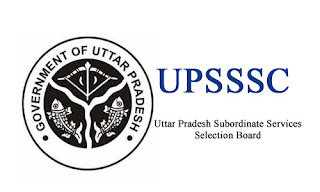 You can Download UPSSSC JE Exam Answer key from the link given below. Candidates who have given the exam now waiting for the answer key so we are providing you UPSSSC JE Exam Answer key. Note - Please Remember we are providing you Unofficial Answer key created by our team, we give our best to prepare this answer key, if you have any doubt in any question of this answer key you can comment here. Official Answer key will be upload after one week of the exam date But till then you can download our unofficial answer key and know how many marks you are getting in UPSSSC JE Exam 2016. UPSSSC JE Technical Exam Answer key will upload soon, Keep Visiting. Please Download the Answer key and Share your marks by comment here so we can find out Expected Cut off.